The iPhone makes it easy to do almost anything wirelessly, including syncing your iPhone to your computer. The standard way to sync devices to use the USB cable that comes with your iPhone. But did you know by changing just one setting you can sync your iPhone over Wi-Fi to your computer? Here's what you need to know. An iPhone, iPod touch, or iPad running iOS 5 or higher; updating to the latest version is always best. iTunes 10.6 or higher running on your computer; make sure to update to the latest version. Your iPhone and computer connected to the same Wi-Fi network. Believe it or not, to sync your iPhone wirelessly you need to use a wire—at least once. That's because you need to change a setting in iTunes in order to enable wireless syncing for your phone. Do this once and you can go wireless every time afterward. Begin by plugging your iPhone or iPod touch into your computer via USB in the normal way that you'd sync your device. In iTunes, go to the iPhone management screen. You may need to click on the iPhone icon in the top left corner, just beneath the playback controls. When you're on this screen, look for the Option box towards the bottom of the screen. In that box, check Sync with this iPhone over Wi-Fi. Select the Apply button in the bottom right corner to save that change. Eject your iPhone by clicking the up-facing arrow next to the device icon in the left-hand column of iTunes. Then unplug your iPhone from your computer. If you're not sure, confirm that your computer and iPhone are connected to the same Wi-Fi network (for instance, you can't be on Wi-Fi at work and sync with your computer at home). Next, tap the Settings app on your iPhone. Scroll down, then tap iTunes Wi-Fi Sync. The iTunes Wi-Fi Sync screen lists the computers you can sync your iPhone with when it was last synced, and a Sync Now button. Tap Sync Now. The button changes to read Cancel Sync. Below it, a status message updating you on the progress of the sync appears. A message displays when the sync is complete. You're done! Syncing your iPhone wirelessly is slower than doing it via USB. So, if you have a ton of content to sync, you may want to use the traditional method. You don't have to manually sync. When your iPhone is connected to a power source and is on the same Wi-Fi network as your computer, it syncs automatically. Using Wi-Fi sync, you can sync your phone or iPod touch to more than one computer—as long as those computers are authorized with the same Apple ID. You can't change your sync settings on your iPhone or iPod touch. That can only be done in iTunes. Restart your iPhone. You'd be surprised how many things this can fix. Confirm that both devices are on the same Wi-Fi network and that your computer isn't in sleep mode. Check your firewall. 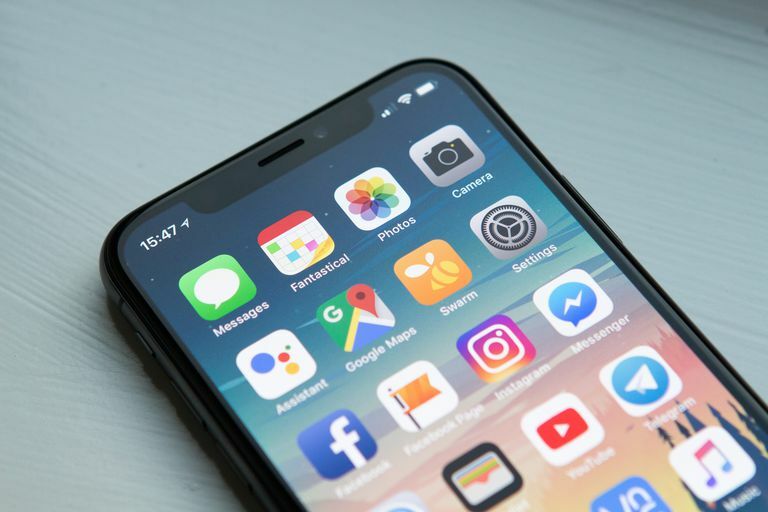 Depending on your firewall settings, you could be blocking the ways that the iPhone connects to your computer. You'll want to make sure that the firewall allows connections on TCP ports 123 and 3689, and UDP ports 123 and 5353. If you can't connect to Wi-Fi in the first place, you can't sync using it. Find out how to fix an iPhone that won't connect by reading How to Fix an iPhone That Can't Connect to Wi-Fi. There is another kind of wireless syncing. You don't have to sync with a computer or iTunes at all. If you want, you can sync all of your iPhone's data to iCloud. Some people prefer this option. For others that don't have computers, it's the only choice. Read this article to learn more about how to back up your iPhone to iCloud.